Ryan and Jen break down each episode, give their reviews, and then give their listeners a voice. Their calm demeanor allows for level-headed and open-minded discussion of each episode. Thier location in Hawaii allows for insight on the sets and filming on location. Great for new viewers [watching 13 years after the premiere] to follow along with binge viewing of the show. Unfortunately they did not start at the beginning of the series at took a hiatus but make up for it in later episodes. Great 2011 podcast episode. This is the first episode I've listen to but it brought great memories. I hope you guys come back to talk about something lost related. Jay & Jack are great! Great podcast! But WHO is the woman in the audience on the 7-26-10 that had to comment constantly? Annoying! This is the ultimate in Lost podcasts, Ryan & Jen being in the heart of Oahu have been our "direct link" to all things Lost. These podcasts are full of information, fast paced and a pleasure to listen to, very professional podcasts. I have some catching up to do since I wanted to avoid spoilers for the majority of Season 6; yes you can can stop when the spoiler information is about to be broadcast but I prefer to listen to the entire podcast which I'll do now. It's been a pleasure Ryan & Jen. Thank you for all the work you've done with these podcasts & all the information you've provided through the years. Hopefully just because it's The End for Lost, we'll continue to hear from you on another project. 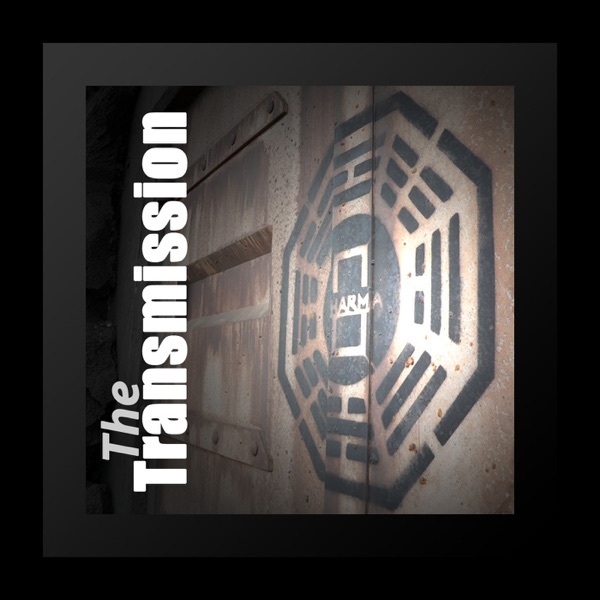 If you're not ready to "let go" of Lost, it's not too late to listen to The Transmission podcasts. Aloha & Namaste. Ryan and Jen are my favorite Lost podcst out there. They bring the listener well thought through and genuine commentary on the TV show Lost. They are a joy to listen to. They are smart and thoughtful about ideas. I love the whole way they set up their podcast. A really big plus to me is that I can listen to it in the car and it is family friendly. I cant wait for their new podcast to start after Lost finishes. It sounds fascinating. The Transmission is a hub for LOST fans. A audio way to join together and disscuss your favorite show with two hosts that love the show as much, if not more than you do. They always have great insights into each episodes, and veer from the trap of fanboyism that plaugues so many other LOST podcasts and fans. Plus, they give a good recap, and offer great inside information about the show. I tend to skip over the usualy 40 minutes of audience feedback, but the hosts themselves are a good listen. So, I hope they keep transmitting, and I hope all LOST fans receive it. By far the best Lost podcast out there and it'll be a sad day when this podcast ends. Keep up the good work. I'm gonna miss you guys when the show is finished. By far, yours is the best podcast. Others can't compare. Namaste. One of the very best lost podcasts/info sources on the net, they are creative and enjoyable to listen to! Initially I had a hard time listening to that guys cliche nerd voice and "comic book guy" style nitpicking. But being a new addict of the show (I just watched 5 1/2 seasons in 6 weeks) I needed some intense analysis to pass the time during my daily commute and this show has it. I have been listning for about a year and it's a most excellently put together podcast informative and fun. Ryan and Jen set the bar for every other LOST podcaster. Professionally produced, great quality and content. Especially love "The Forward Cabin!" There are a lot of LOST podcasts by now, but Ryan and Jen are still the best. I've listened to them so long I feel I know them and will be so sad when it's all over. Thank you Ryan and Jen for a GREAT run! I really enjoy listening to these guys dig deep into the mysteries of LOST as they develop and explore their own (and listeners') theories. This is the first podcast I subscribed to when I got my iPhone this month, on the recommendation of the good ol' Internet and I couldn't be happier. Or more obsessed. Listening makes the show so much more enjoyable. Mahalo! The best Lost podcast out there! I look forward to this podcast as much as I do the weekly episode of Lost! Ryan and Jen have a top quality produced show that is organized. Its broken down into sections. They first, give an episode recap. Second, they discuss their thoughts and theries (my favorite part). Next they take calls from listeners, and finally, the give spoilers and production news. This podcast is produced as well as the official podcast, but it maintains the excitement and mystery of a fan podcast. Please give them a listen I know you'll love them like I do! I listen to two lost podcasts, but this is the best one I have found. They do a great (short) recap, and a fantastic discussion of the episode. I think having both the male and female viewpoints adds a lot to the discussion. I know there are a few complaints about the hosts' voices, but I like Jen's voice a lot, and have no problem with Ryan's. I agree that Jay and Jack are fun, but The Transmission is by far a more professional-sounding podcast. It's also cute they way you can tell they love podcasting and spending time together. Great job! I have really enjoyed the episodes. I'd like to nominate Jen for the John Locke Memorial Professorship of Lostology and Ryan for Dean of the School of LOST. Somehow these two not only catch, but actually comprehend many of the pop culture and literary references that are woven into each episode of LOST. I think of Ryan & Jen as my own personal version of Cliff's Notes for the mythology of and brainy side of LOST. And the spoilers in their "The Forward Cabin" segment are so interesting and accurate that, in honor of the final season, I had to quit listening to that segment. love your podcast so much. excellent analysis. Ryan and Jen do a great job of leading their fan community in an on-going discussion of one of the most perplexing (and entertaining) shows in television history. They do a great job of staying focused and on-task, packing each podcast with insightful comments and theories from themselves and their listeners. This podcast sets the standard for how a fan podcast should be conducted. Very entertaining. I want to like this show but hosts seem so bland and alike. Usually on other podcasts when one host misses something ther other will express a counter point or correct the other. It might be a minor point but they're still discussing when Locke stopped being Locke as if there was a question that Locke was himself up through his death at the hands of Ben. I honestly wanted to scream at my computer when I heard some of the callers, maybe handling different storylines is too difficult for the masses. I think I'll sick with Jay & Jack for my Lost Podcast needs. Listening to this Podcast is like sitting in the living room discussing the show with good friends. Very well produced and entertaining. Thanks!! Love the podcast and all that you do for the LOST community. Keep it up! I just found out you guys are responsible for lpn. It is a wonderful service that you provide for the fans. I live off the podcasts. Miss you guys. You and rethinking lost are my favorites. The most succinct and informative Lost podcast. Great summary. Offers a wide range of viewer comments. And, don't miss the forward cabin. One of the unhappier moments of my LOST experience came a couple of years ago when Ryan and Jen announced that, due to the obligations of life, they would have to discontinue The Transmission. Thankfully, they found a way to bring it back after a brief hiatus that left a clear hole in my enjoyment and understanding of LOST. They came back with the original formula for the show. Nothing needed to be changed. After an episode of LOST, I refresh my podcast subscriptions again & again till I get the latest dose of The Transmission. This is the place to go for the straight skinny on LOST. Jay and Jack are no slouches either, but Ryan & Jen were 'my first' and my loyalty is unshakable. Namaste, Ryan and Jen!! I've listened in a a dozen or so Lost Podcasts and THIS is the BEST. Love the couple dynamics, the insight and insiders' viewpoints. Y'all rock! they have front row seats to one of the greatest shows on earth. from the island itself, ryan and jen give thoughtful insight into the soul of LOST. can't wait to experience the end of the show with their input!! thanks guys!! You guys do and awesome job on the podcast and create a wonderful LOST Ohana. (sorry I might have spelled that wrong) I love listening to your podcast and look forward to it all the time. Thanks for podcasting and linking us in there. YOur very organized and it makes my geeking out very enjoying and easier. Continue the do the great work! The Best Lost Podcast Around! Ryan and Jen's enthusiasm for the mythology and characters of ABC's Lost is infectious, and I look forward to each episode almost as much as new episodes of the show it focuses on. The sadness I'll feel to see Lost go barely edges out how I'm sure myself, and other Transmission fans will feel when this show is over at the end of Season 6. Looking forward to more from my favorite couple in Hawaii with their new podcast to come! The Transmission is a phenomenal supplement to one of TV's greatest shows. It provides what I consider to be a perfect balance of commentary/analysis, fan comments, and production news, all broadcast from the Island itself--Oahu. Ryan and Jen, the hosts, manage to treat each episode seriously, providing real insight into the plot and characters, while still being entertaining. They are very good at their job, and clearly enjoy it. Beyond that, they make a genuine effort to connect with their listeners, and truly value the input of their fellow fans. Perhaps this is why their own fanbase is so committed. I listen to The Transmission every week as soon as it is released; it helps me process the episodes, and makes me aware of details I might otherwise have missed. If you love LOST, give The Transmission a try. You might get hooked. These guys are great! I love thier views and theories about lost. Having a podcast right from the heart of Hawaii and Lost - who could ask for more! This is one of the only podcasts we get excited to listen to. Very amazing stuff. A real pleasure to listen to. Ryan and Jenn rock!!! Anthony and Jeanne in New Jersey. This is where I started my search for a great podcast and after listening to several different formats I stand by the fact that all podcast should approach their production just like this. I can't say enough good things about Ryan and Jenn. Great stuff. Thank you so much. While I'd like to see less recap and more analysis, this is among the best produced Lost podcasts around. Always a great listen. There are a lot of Lost podcasts but this is definitely one of the better produced and entertaining ones available. I would like to give Ryan and Jen a big thank you for the extra content they have broadcasted from comic con and from the Hawaiian film festival. What a treat it was to hear those panels. I am looking forward to watching the last season with Ryan and Jen's insightful and entertaining commentary. Ryan and Jen are great! They offer insight into LOST like no other podcast out there, and they have even made the hiatis bearable. Well done and keep it up! I love the format of this podcast. I truly appreciate the effort to keep it spoiler free until the end, so I can listen to as much as possible. Wish I could be there for all the Season 6 events! This is easily my favorite Lost podcast. I especially appreciate the re-watch podcasts and other hiatus shows. I'll keep it short and sweet....there are lots of LostCasts out there....I've been watching and studying the show since 9/22/04. If you only want to subscribe to one podcast, look no further. Ryan and Jen are hands-down, the best. This is a truly amazing podcast! I have been listening to Ryan and Jen since they started the podcast years ago. It is insightful, informative, funny, and never a chore to listen to. Keep up the good work! If you are a lost fan then you need to be a Ryan and Jen fan too. It's a great podcast.